The metal additive manufacturing industry is expanding and innovative new technologies are shaking up the market. 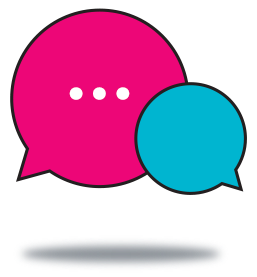 Companies need to stay on the ball when it comes to the latest developments to avoid missing important opportunities. 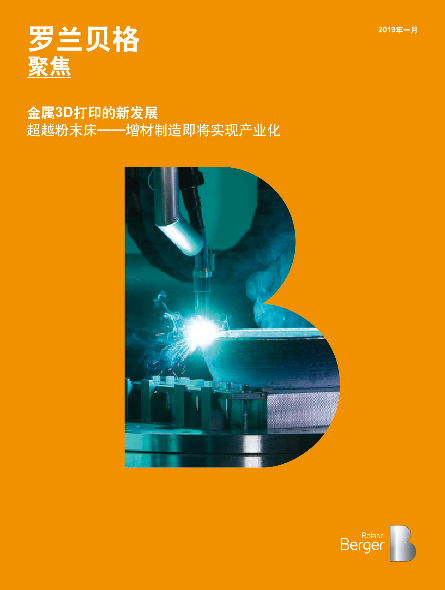 We recommend acting now to develop an integrated technology strategy that takes the full spectrum of metal additive manufacturing into consideration. Additive manufacturing for metal applications is still largely a niche technology. 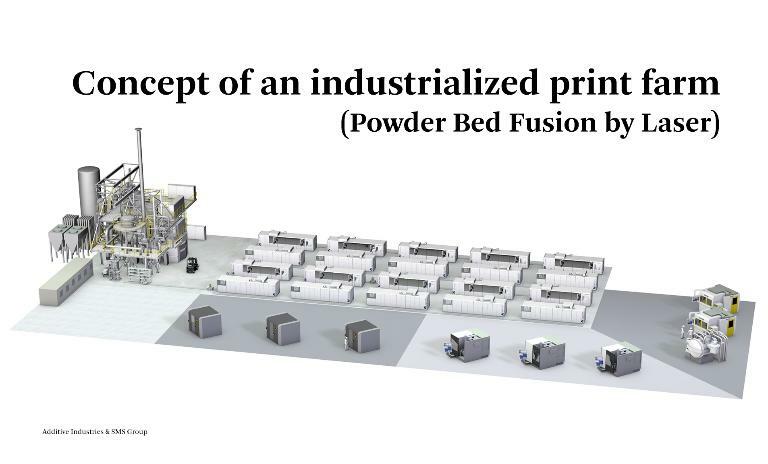 Technology inherent cost boundaries of the main processes Powder Bed Fusion by Laser (PBF-L) and Powder Bed Fusion by Electron Beam (PBF-EB) are limiting its wide-spread adoption. But the market for metal additive manufacturing is evolving fast. New contenders and established players are taking innovative approaches to offer more cost-efficient processes, partly based on entirely new concepts. These developments could place metal additive manufacturing on the edge of affordability for certain mass production applications. With a host of new technologies jostling for position in the additive manufacturing landscape, we believe no one single technology will dominate the rest. It is more likely that a range of technologies will coexist, each meeting different customer needs. At Roland Berger, we use a cube to represent the positioning of the different metal additive manufacturing technologies within the three dimensions of part performance, lot size and cost, as seen below. Due to performance improvements, existing technologies can expand into the spaces that remain. These spaces could also be filled by entirely new technologies in the future. The first step involves screening all technologies that are already available, or are close to reaching the market. 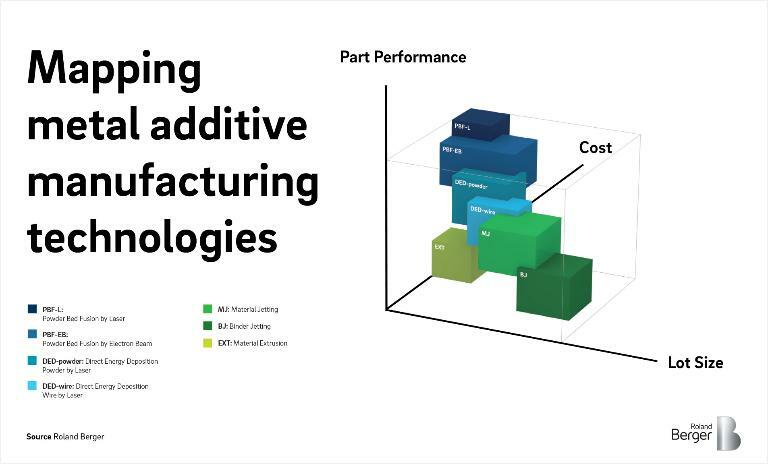 After assessing the technologies that exist, you should examine your product portfolio to identify potential use cases for Additive Manufacturing. The use cases are then plotted in the cube according to their various requirements. The third step is to cluster the use cases from Step 2 within the cube. Then, cluster by cluster the technology roadmap is drawn, indicating investing times and conditions. Metal additive manufacturing is poised on the brink of industrialization. It is essential that companies recognize the benefits of existing technologies and how they can be utilized. At the same time, organizations should keep an eye on new and alternative technologies. Developing a technology roadmap using the four-step approach outlined above will ensure firms have a solid technology strategy going forward. Metal additive manufacturing is reaching the industrialization stage. Companies must stay on top of new developments and include them in their technology roadmaps.